In last month's spoonie update I had lots of small things to tell you about and this month's is the same really, apart from one new and pretty major thing that will be happening! I've been back and forth to Stanmore RNOH a lot recently for OT appointments and I've been on a new medication for about a month now so I've got them to talk about alongside this new update. Last time I told you about the hand therapy occupational therapist that I was seeing and since then I've also met my more general OT. She gave me lots of information about pacing and I've got an activity planner to fill out to help me assess what kind of tasks I'm doing during the day and how we can use pacing to even things out a little. My hand therapy OT was also there and we decided for now we are going to focus on the basics of occupational therapy as there isn't a miracle cure for my hand problems and it is more about managing pain and once again it all comes back to pacing! I'm seeing this general/rehab OT now and I'm also being referred to see another one (That's 3 now!) who can work with me to make things like cooking possible and easier. I'm excited to see what we can all come up with together, throughout these past few years many of my various medical teams have neglected to refer me to things like OT which for someone with chronic pain and a hypermobility syndrome is really vital so I'm glad we are making good progress. Last time I also told you about a new medication I was starting, Nortriptyline, that is for my sleep and pain. I've been on a low dose for about a month now and for the first couple of weeks it was really helping my sleep but the effect is wearing off a little now. I don't think it's had much or any effect on my pain but when I go back and see my GP we will be upping the dose so perhaps it is just that I need to be on a higher dose to properly benefit from it. The final thing I wanted to mention is about my wheelchair. You'll probably know that for over a year now I've had to use a wheelchair most of the time outside the house and at the beginning of the year I got a new one, a manual chair so I could propel myself. However, over the past few months I've realised that it's actually very painful to propel myself and I can't push myself at all over pavements, only smooth and flat surfaces. This means that I still don't really have any independence, I can't leave the house on my own and 75% of the time someone else still has to push me. It's disheartening if I'm honest, I thought a manual chair would give me so much more freedom but nothing has really changed. 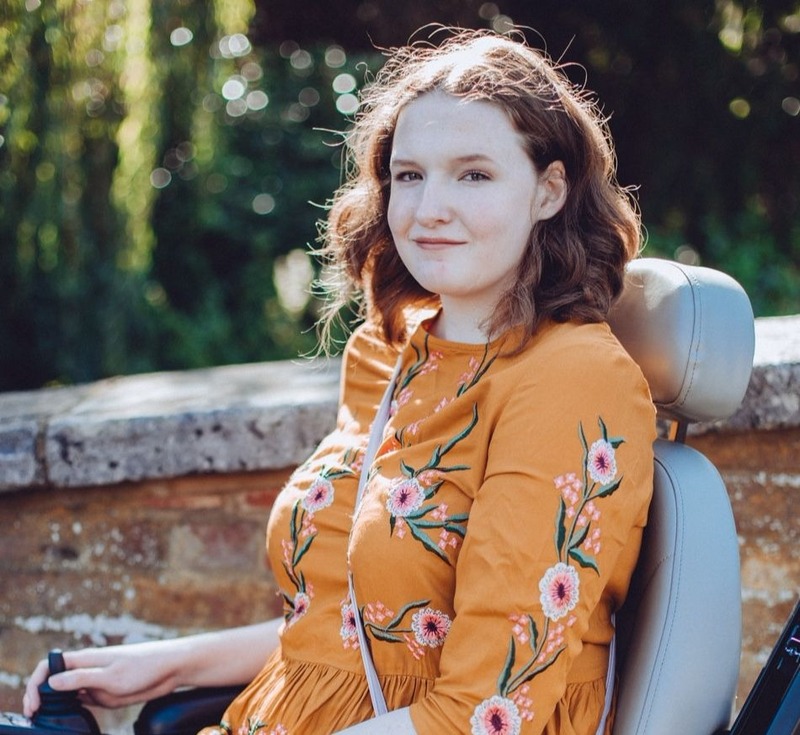 This is why I'm now looking into getting an electric wheelchair/powerchair, it would enable me to be able to leave the house on my own and have the independence that an 18 year old should have. Why should my condition hold me back if there is something I can get to make life easier? Only problem is, they are very pricey so once I've decided on a chair I'll have to fund it via GoFundMe which I really don't want to do but I have no choice. I can't afford it myself, my family can't afford it and without it I'm going to become even more isolated which isn't doing my mental health any favours! I'm excited though at the prospect of being able to leave the house on my own once again, I miss just being able to hop on the bus into town. That's it for this month, I'm actually away in Wales for a few days right now so hopefully my body is behaving and I'm able to have a good time!